Intel has revealed yesterday that it will be folding its 5G smartphone modem business. The chip partner of Apple has had trouble with its 5G modem development, and apparently they've been too hard to overcome. 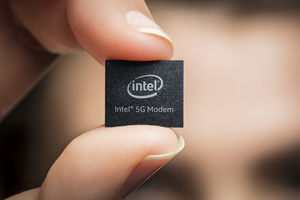 Delays have plagued Intel's 5G modems, and Apple has reportedly looked elsewhere for a chip provider. Intel is continuing other 5G operations, including both networking and PC side of things. They are also committed to providing existing 4G products for smartphones, but no 5G modems for smartphones will be unveiled, including the ones planned for release next year and heading to iPhones. This leaves the door open for others, including Qualcomm who have expressed interest in providing chips to Apple despite a patent dispute looming in the background. In fact, Qualcomm and Apple settled their lawsuits and agreed on a six-year licensing deal.